Transportation has transformed massively in the past few centuries. From the invention of the steam train in the 1800s to the rise of aircraft in the 1900s, transport has constantly evolved with the times. And there’s no denying the fact that the world is undergoing a new transport revolution, led by connected technology. By the 2020s, it’s generally thought that autonomous vehicles will enter the mainstream. According to research published by IHS Automotive in 2016, there could be as many as 21 million self-driving vehicles on the world’s roads by 2035. Of course, driverless vehicles aren’t the only innovation set to pioneer transport over the coming decades. 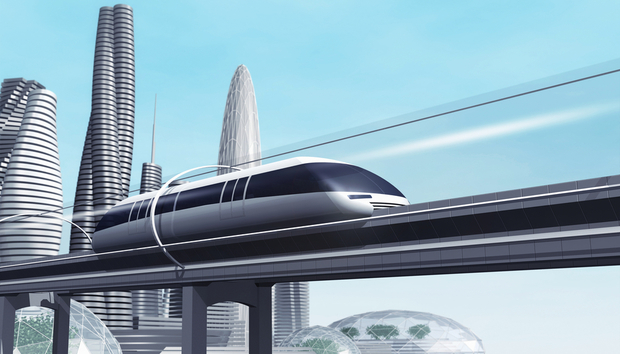 Developed by Tesla and SpaceX, hyperloop technology will also change the game. It’s a proposed mode of transportation that sees a pod travel through a sealed tube - free of air resistance and friction - at hundreds of miles per hour. Yet if there’s one thing that’s certain, it’s that big corporations aren’t the only pioneers here. Right around the globe, there are some exciting, intelligent startups working on innovative technologies capable of revolutionising the way we travel. Here are a few of them. Chief Digital Officers: What's in a job title?